Falling behind on legitimate posts again... have about 3 cisco related things queued up for posting I should probably finish off. Hmm. Placed an order for some VM time, also an SRX100, which I expect will take the place of portcullis.sarlok.com (which I just installed...) to force me to get a better feel for JunOS outside of an olive. Got myr.sarlok.com racked. Backup for fluctuators VM's, as well as some more resources for the pool. My new toy. Something other than my Volvo that I can ratbag, without being too upset if I wrap it around a telephone pole or something. RIM seems to be slowly sabotaging apps on my 9900. Granted the Trillian thing is but happening on a per-user basis, but it's one of 6 apps I frequently use (used?) which have stopped working in no particular order. Perhaps my shockingly negative feedback for the Z10 is to blame. Although, it's their own fault for making it such a steaming pile of корма. Me: you still has a blackberry? Me: msn via trillian still working on that? Me: weird. my blackberry's msn is half busted. Co-worker: Trillian on blackberry, or the MSN client? Me: sorry, the MSN account in Trillian. Co-worker: Yeah... Blackberry would be my guess. On a somewhat related note, no-one seems to be able to, or wants to sell me this. I've wanted something along those lines for close to two years now. Effectively what I'm looking for is a hosted PBX. 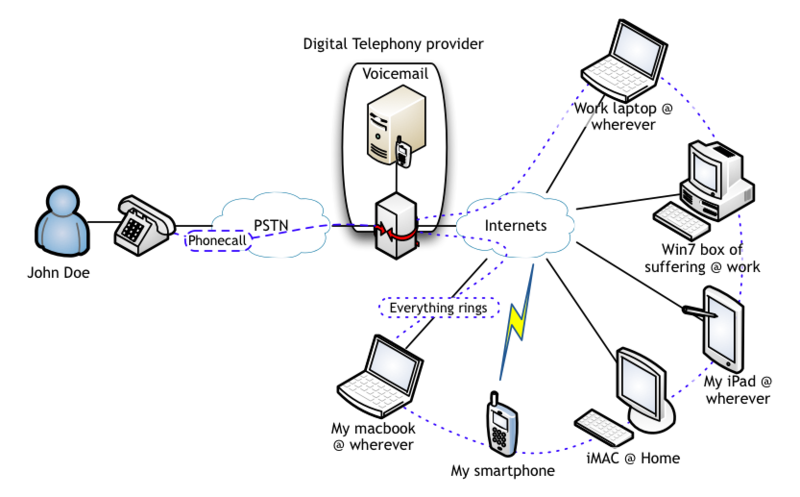 John Doe phones my #, it rings to all my subscribed devices, regardless of location or connectivity method (Mobility Carrier, Wifi, Wired), and I answer at whichever device I please - or happen to be closest to. At a cafe with wifi? iPod Wifi. Finished my coffee, and time to get going? Park the call, and pick it up on my Cellphone. Call goes on for far longer than it should, and I get home? Pick it up on my analog phone through an ATA (not pictured - I don't actually have a "phone" phone) wired into the house. Google ruined GrandCentral and won't give me a Canadian number. Skype won't give me a Canadian number, their client isn't fully cross-platform, and has become outlandishly bloated of late. The countless third party offerings that exist are flawed, don't do anything like what I just mentioned, and/or are way, way too overpriced. If you're feeling bored, I think I'm up another 50 images in the /random folder.